Who understands pain more than those who have been injured? Who understands suffering better than those who have been traumatized? It is often through our experiences that we develop compassion for others as they struggle on life’s path. Pain brings with it the gift of insight and knowing the needs of those who suffer or have suffered in the same way we have. This unique understanding allows us to reach out to help others in their time of greatest need. We are therefore able to offer encouragement, strength and hope! Reaching out in this way is an act of compassion. 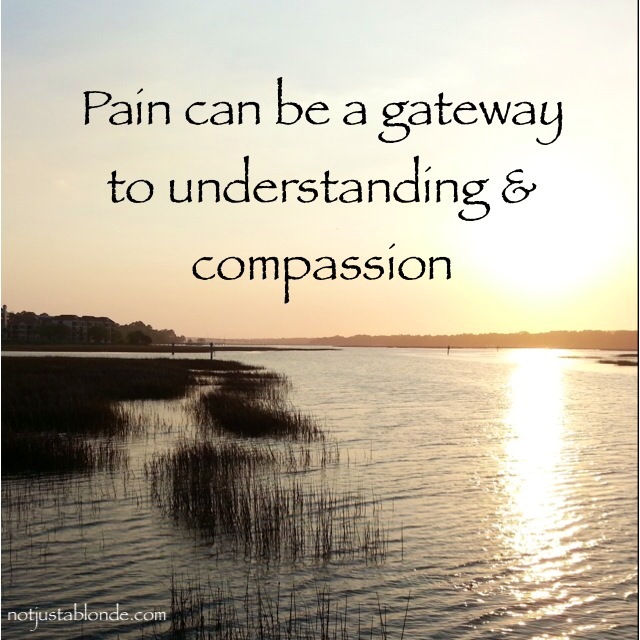 Pain can be the gateway for compassion and understanding. Understanding and compassion are on the path towards Love. Love is where God is and what this life-thing is all about. For some of us, we don’t need to experience pain or loss to have deep compassion for others. Even total strangers.